I want to give credit where credit is due and thank all my sponsors, supporters and give a shout out to everyone and everything that helps me achieve what I set out to do. Being an amateur athlete I do this for fun. Thanks for helping me accomplish all the adventures I have embarked on in my life and here's looking forward to more. KTM has one of the most complete lines of any bicycle manufacturer. Based in Austria, built in Austria, they make road bikes, cyclocross bikes, mountain bikes, plus bikes, fat bikes, city bikes, and some of the best electric bikes in the world and have done so since 1964. They have embraced through axles, disc brakes, tapered steerers and have an incredibly complete line of apparel and accessories. The more I ride, and the more disciplines I ride, the more I realize it really is nice to have the right tool for the job, KTM makes this easy. This partnership is a perfect match. For 2019 I'm again very excited to be a KTM Brand Ambassador. Sealskinz makes "endurance accessories". Specifically, they make socks, gloves, and hats; all of which are soft, warm and waterproof. For someone like me who has poor circulation in my hands and feet, their products are a godsend! Not only are their products effective at keeping out the cold and wet, they stretch an amazing amount and are super comfortable. And they have socks with a silicone gripper at the top of the cuff to seal(skinz) out the water that runs down your legs! Genius. Use this link for a 20% discount. 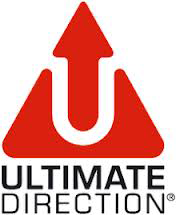 Ultimate Direction makes some of the best hydration products around. It makes me laugh when I think how much I used to dislike carrying a water bottle... now I hardly leave the house without one. Currently, I still use the Handy 20 (this item has been discontinued). It grips a bottle more securely than any other handheld holder I have tried and I can fit a large (read: 24 oz) cycling bottle in it. My favorite pack is the PB Adventure Vest 3.0. It's incredibly versatile in that it's very light, yet holds enough for a self-supported 100 mile/all day outing. You can use it with bottles, a bladder or both. And there is still room for a camera, food and extra clothing. Perhaps most importantly, it's comfy and does not bounce around no matter how full/empty it is. Did I mention you can attach trekking poles to the front? Oh yes. I also love the Race Vest 4.0, this model is incredibly light and if you don't need to carry clothing or extra gear, it will hold all your nutrition and hydration and trekking poles and make you feel fast! The Seattle Running Club is my club. Without them, I would never have met so many incredible people and talented runners or been exposed to so many amazing running routes and adventures. This is what I use and what I freely and heartily endorse. There are a lot of products and services out there and through trial and error, I have found that everything on this list really does work for endurance athletes. 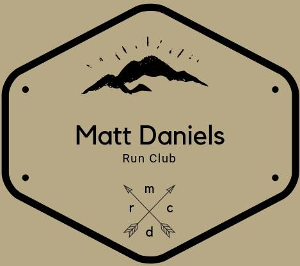 Matt Daniels Run Club - I have a coach! Matt Daniels is a positive, encouraging mentor. I discovered Matt because I was originally hoping to hire David and Megan Roche but they are so darn popular I was not able to. After numerous requests, David finally told me I should look up Matt who is one of David's clients. David said I would not be disappointed and he was right. Matt uses the same philosophy and keeps the focus on all things positive. For someone like me that needs to keep the focus on why I started running in the first place (to have fun, to explore, and to go on adventures), this has been awesome. I recommend Matt. Stryd makes power meters for running. Just like for cycling, power is the most objective and consistent measurement of how hard you are working. Watts are, after all, watts. They don't vary depending on how rested you are or what direction the wind is blowing. Power is the best way to pace your effort no matter what distance you are running. The Stryd footpod pairs with iOS, Android, most GPS watches, and it also gives you a host of other metrics including pace & distance (if you are running indoors), cadence, form power, leg spring stiffness, ground time, vertical oscillation and a run stress score. All without overriding these numbers if they are already being provided by your existing gear. I got turned on to Stryd by Joseph Gray. Being familiar with power from cycling I was really just looking for a reliable running unit and Stryd is that. I was hooked. In 2018 I posted some ultra PRs, for sure I am smarter now than when I started running but I give a lot of credit to Stryd. It just makes pacing easy. Stance makes the best socks. I used to think you needed "tough" socks or "toe" socks when what I really needed was the right shoe for my feet. Once I got that dialed in, comfort was all that mattered and that is what Stance excels at. They make all the popular lengths (my favorite is the crew - it keeps dirt out) and the slight amount of compression is really nice. These socks work great in the heat, in the wet, they don't bunch up or rub or cause blisters, the elastic snaps back wash after wash, and you will be able to find a design that no one else is wearing. Style, you know you love it! FootWorks Physical Therapy has been patching me up for years. Neal Goldberg understands athletes because he is one and because he has worked with some of the best. I have received bike fits, cycling insoles, routine physical therapy, rehab from a chronic back and a pretty serious ankle injury and treatment for an IT band injury and a running over-use injury all from FootWorks. Flora Health makes Udo's Oil and I love it. Not only is it a super source of omega-3 and omega-6 acids in an optimal ratio it also tastes great. I put it on salads, in smoothies, you name it. Need a great recovery tool and endurance fuel? Check. Patagonia. No other clothing company that I know of makes such great performing apparel for every condition and activity imaginable AND cares so much about our planet. They exercise control over the entire supply chain for the common good. Their products are comfy, technical (meaning they work when you work hard) and they look great. You can feel good when you wear this brand. If you run or ride a bike odds are you use at least a stopwatch and more than likely a cyclometer or GPS. Garmin makes some of the best and has some of the best accessories. Currently, I am using the Fenix 3 for running along with a Heart Rate Strap. Since this unit has an accelerometer, I no longer need a Foot Pod for indoor runs. I use the Edge 500 (along with a heart rate strap) for cycling sometimes and when I'm adventuring (any activity) I add the inReach SE for safety. If you have a regular job and/or have a family, no doubt you are doing some of your workouts early in the morning or late at night. Add in Daylight Saving Time and I am donning a light several days each week during the winter. Black Diamond makes some great ones and I am currently using an old version of the Sprinter Headlamp (rechargeable, flashing red tail light) and the Icon Headlamp (200 Lumens, all night battery life). They also make the gold standard in trekking poles, the Distance Carbon Z Pole. Holy cow are these things light and easy to deploy and stow. Shelley and I also have some less extreme Trail Trekking Poles for hiking and snowshoeing. Road ID. It's small, it's comfy, it doesn't cost much, and it's a big pile of peace of mind. When I go running or riding alone, or even when I'm with friends; how would anyone know who to contact if something were to happen to me? Road ID solves that problem. I wear mine 24/7/365. Shelley appreciates this.